RULE OF LIGHT - IF JUSTICE COULD SEE, 6 x 48‘ by Olga Film for ARD/Degeto. Romy Heiland (Lisa Martinek), an ambitious lawyer, has been blind from birth. She opens her very own law practice in Berlin and hires Ada Holländer (Anna Fischer) through the Job Centre. The new series is inspired by a real-life person: the Berlin lawyer Pamela Pabst, Germany's first blind criminal defence lawyer. SOPHIE - A NEW BEGINNING, 10 x 43‘. Romcom series from Holland in which Sophie and Kasper may now be divorced, but they are still living in the same house: she is downstairs, he upstairs and their kids are inbetween. What seems like an ideal solution, both financially and for the children, leads little by little to all kinds of complications, especially when the ex starts bringing his dates home. BOHEMIAN BLUES, 2 x 90‘, TV movie series. Roeland Wiesnekker and Gabriela Maria Schmeide are the investigators in the new detective series "Bohemian Blues". "Bohemian Blues - Body of Water" (working title) and "Bohemian Blues - Cold Corpse" (working title) are productions of Schiwago Film on behalf of ARD Degeto for Das Erste. A SONG FOR MIA, 1 x 90‘. TV movie about the young musician Sebastian who is living in the fast lane until an accident robs him of his eyesight. It is only thanks to the nurse Mia that he then becomes aware of his inner self and the world of feelings. A SONG FOR MIA is a musical love story with the shooting stars Tim Oliver Schultz (Red Bracelets) and Paula Kalenberg (The Cloud) and is produced by Constantin Television for ARD Degeto. THE DADDY OFFENSIVE, 1 x 90‘, Romcom. Showdown on the campsite: the comedy THE DADDY OFFENSIVE centres on the lawyer Markus who learns that his holiday romance Lena is pregnant. His dream of having his own family is now within his grasp. But he hadn't reckoned with Lena's father Hartmut. His daughter's new boyfriend is a thorn in the flesh for the ¨Capt'n¨ who spends his summers at the campsite in the Ruhr region. THE DADDY OFFENSIVE is a production of MOOVIE on behalf of ARD Degeto for Das Erste. Alexandra Heidrich, Global Screen's Head of TV Sales and Acquisitions: „I am really pleased with the current, very diverse and international line-up that we're bringing to the market. 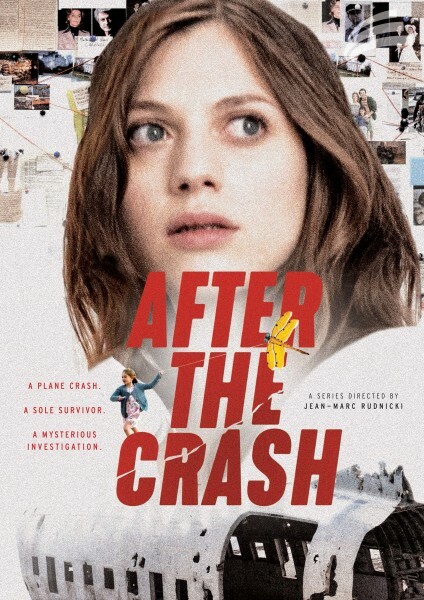 I am particularly proud of the fact that we have succeeded in acquiring the French mini-series AFTER THE CRASH, a real highlight in European series production, which is sure to travel all around the world. And SOPHIE, our Dutch family series, is also lots of fun and has a very humorous way of telling stories that patchwork families around the globe have experienced like this or in a similar way. Our current slate also includes the popular genre of the legal dramas with a special kind of twist and a wonderful female lead! Cannes can come!" This MIPCOM will also see Global Screen presenting new documentaries as well as five new entertainment formats in one of the strongest non-fiction slates on offer in years.